Protein phosphatase 1 (PPI) is responsible for most of the serine/threonine phosphatase activity in skeletal muscle and was the first phosphatase catalytic subunit to be purified to homogeneity. Thus, much of our current knowledge of phosphatase regulation is derived from studies of PP1. I-1 and its structural homolog, DARPP-32 (dopamine and cAMP-regulated phosphoprotein of apparent Mr 32,000) are both PKA-activated PP1 inhibitors. It has been speculated that phosphorylation of I-1 (and DARPP-32) is among the earliest events that follow PKA activation. This results in PP1 inhibition and greatly enhances the phosphorylation of other substrates by PKA. PP1 inhibition also promotes protein phosphorylation by other protein kinases, thus I-1 and DARPP-32 broaden the cAMP signals and impose cAMP regulation on proteins that are not directly phosphorylated by PKA. The most compelling evidence for the importance of cAMP-mediated phosphatase inhibition in amplifying hormone signals comes from the disruption of mouse genes encoding I-1 and DARPP-32. The DARPP-32 mutant mouse, in particular, was impaired in nearly all aspects of dopamine signaling. 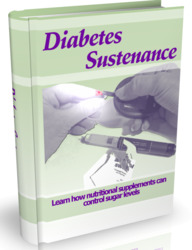 The importance of this finding was recognized by the 2000 Nobel Prize for Medicine or Physiology being awarded to Paul Greengard of Rockefeller University. A more complex phenotype was seen in the I-1 null mouse, in part reflecting the presence of multiple I-1 genes. Recent studies also show that I-1 associates with PP1 complexes that contain other regulators, such as the protein product of growth arrest and the DNA-damage-inducible gene, GADD34. This suggests that I-1 functions may be directed or restricted by other PP1 regulators, and this cooperation is necessary for the function of I-1 in regulating protein translation. Both I-1 and DARPP-32 are the most extensively studied phosphatase inhibitors. A considerable amount of data points to a critical role for PKA phosphorylation in the function of these proteins as PP1 inhibitors. 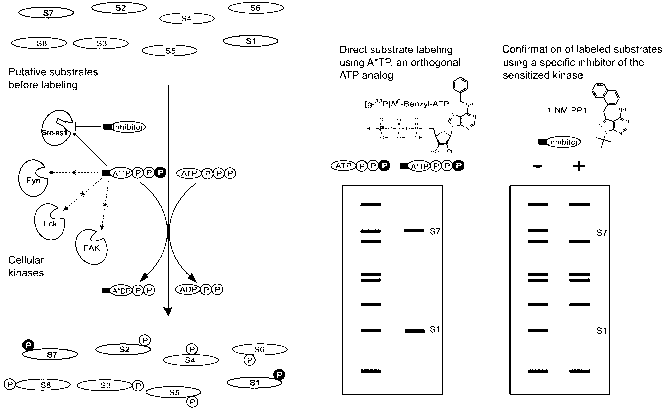 Deletion analyses have also highlighted an N-terminal tetrapeptide sequence conserved in I-1 and DARPP-32 as also being essential for PP1 inhibition. Crystallization of a PP1 catalytic subunit with a peptide containing a homologous sequence has demonstrated its docking at a unique site on the PP1 catalytic subunit . It is now clear that the PP1-docking motif (KIXF) is also conserved in many other PP1 regulators. Virtually all PP1-binding proteins containing this motif inhibited the in vitro dephosphorylation of phosphorylase a by PP1. Some of these proteins, such as the glycogen-binding and the myosin-binding subunits, promote PP1-mediated dephosphorylation of other substrates—glycogen synthase and myosin, respectively. They also associate with subcellu-lar structures, such as glycogen and myofibrils, defining them as PP1-targeting subunits. Unless a substrate or a location can be defined for a KIXF-containing PP1-binding protein, it is impossible to predict whether this putative regulator acts a PP1 inhibitor or targeting subunit. Figure 1 Three-dimensional structure of the PKC-activated PP1 inhibitor, CPI-17. NMR structures of both unphosphorylated and PKC-phosphorylated CPI-17 were solved. Overlap of the two structures shows a bundle of four helices, labeled A, B, C and D. Regions that undergo little significant modification (blue) following phosphorylation and those most significantly modified (red) are shown in color. The threonine-38 phospho-rylated by PKC is shown in yellow. Protein phosphatase 1 activity also responds to PKC activation, and several PKC-activated phosphatase inhibitors have been identified. The forerunner of this family of inhibitor proteins is CPI-17 (C-kinase-activated phosphatase inhibitor of apparent Mr 17,000). Several kinases (PKCa and 5, ROCK, PKN, and Zip-like kinase) promote CPI-17 phosphorylation and increase its activity as a PP1 inhibitor. While the precise mode of action of this inhibitor is unclear, CPI-17 does not contain a KIXF motif. This suggests that other molecular determinants can also specify PP1 selectivity. The three-dimensional structure of CPI-17 has recently been determined (Fig. 1). 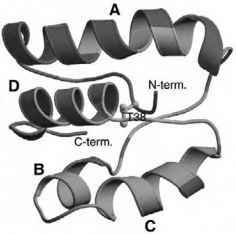 The most significant conformational change induced by PKC phosphorylation in the four-helix bundle that is CPI-17 is the rotation of helix A to create a new surface that may facilitate PP1 binding and inhibition . CPI-17 and its structural homologs PHI-I, PHI-II, and KEPI most effectively target the PP1 holoenzyme containing the myosin-binding subunit. How the regulatory subunit and inhibitor collaborate to regulate myosin dephosphoryla-tion is currently under investigation. The KEPI mRNA is elevated in brain in response to morphine. This suggests that G-protein-coupled receptors activate PKC signaling to promote KEPI expression and phosphorylation and lower PP1 activity to transduce hormone signals.